In the age of social media and the ever growing global economy, having a striking business presence both in person and online is important. But what about when you’re first starting out? Or have a small side hustle that wouldn’t call for a team? Or can’t afford the “team” every business guru tells you to get? You have to make due. But making due doesn’t have to mean making it hard or sloppy. You can start out with great photos, sleek graphics and polished presentations for your business. And many times it’s free or low cost . How? 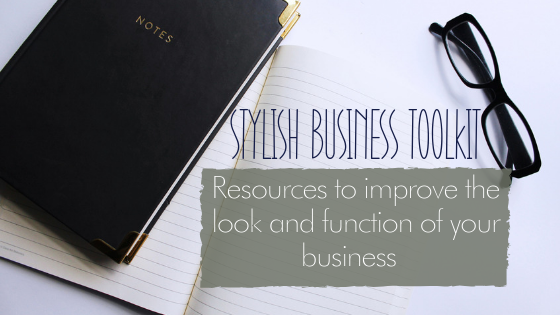 By having your Stylish Business Toolkit in place.